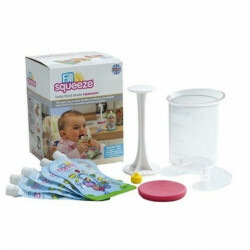 You can cook beforehand and fill easily several pouches with the very practical adapted kit. No more wasting ! 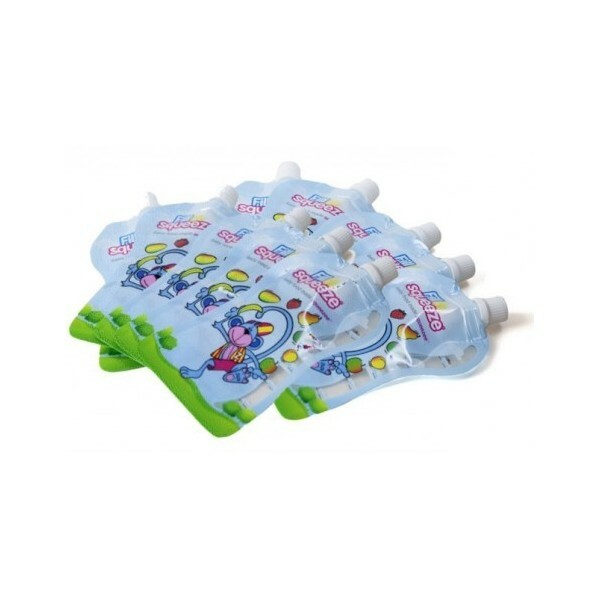 Without BPA and without phtalates, the reusable pouch Fill N’Squeeze skips easily into the freezer, and they go in complete safety from the freezer to the microwaves. They are perfectly adapted for the kitchen of the market and the organic kitchen. 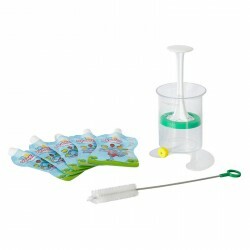 Cook your fruits or vegetables, and mix them directly in the dosing bowl or crush them with the piston potato-masher. Then fix a pouch to the bowl and press the piston to fill the precise quantity you want. Remove the pouch, close it and start again with another pouch, as often as wished. Then wash the bowl and the piston with some dish soap by hand or in the dishwasher. Once the pouches are eaten and empty, fill the bowl of water and soap dish and fill the pouches, do it again with some clear water to rinse. Warning : this squeezee pouch has a small cap which could create a choking hazard. Keep away from babies and children. 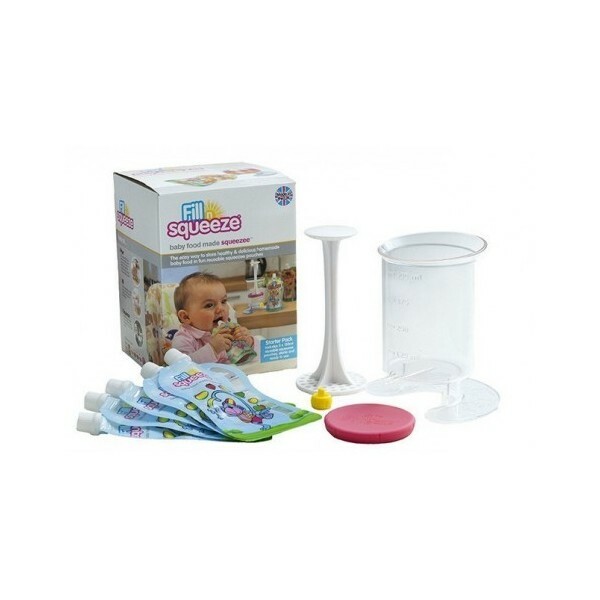 The pouch filler jug and plunger are not suitable as toys for children. * 5 reusable pouches of 150ml, with a pouch filling system: bowl, piston potato-masher, cork. 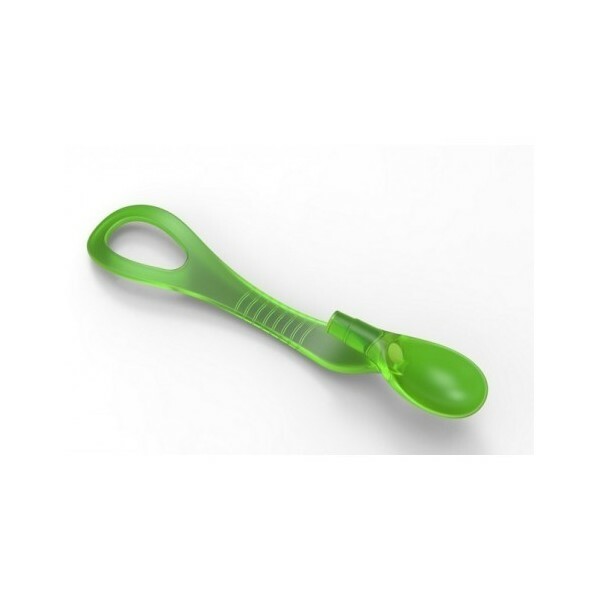 * The ergonomic spoon Fill n Squeeze, ideal at the time of food diversification, when baby does not know well how to eat with the pouch. 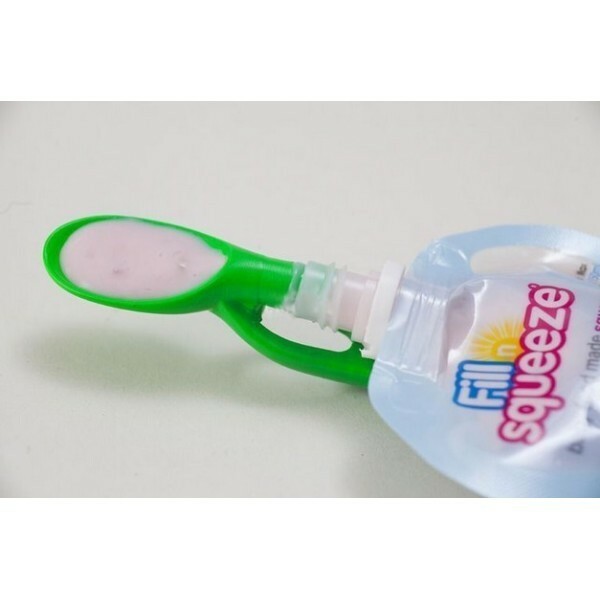 Very easy to fix to all the pouches, just press the pouch and this spoon delivers the appropriate quantity of puree. 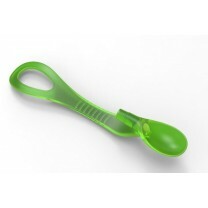 The ergonomic spoon Fill n Squeeze facilitates the meals with the pouch at home or when strolling. 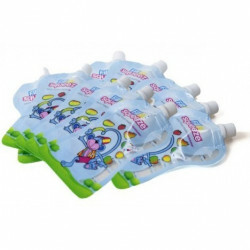 * 10 reusable pouches of 150mL.